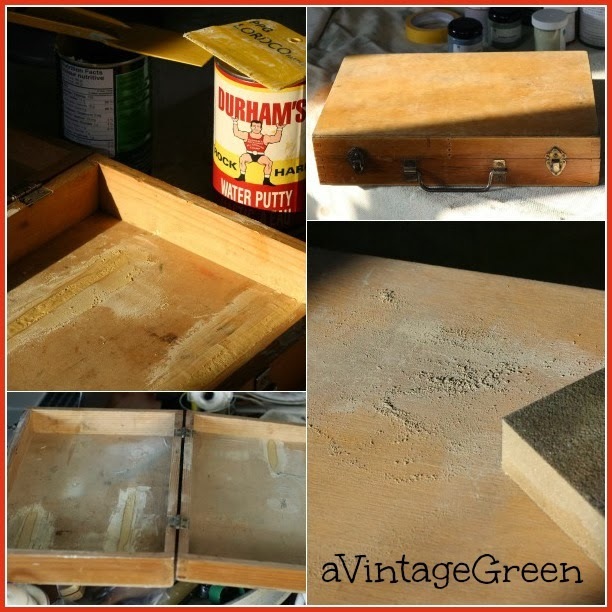 I have continued repairing and repurposing items from my various storage areas (and there are many areas). 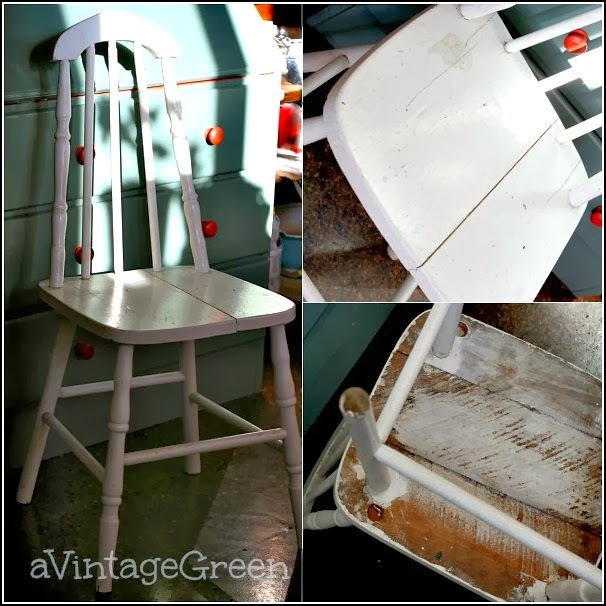 First up is a shabby chic kitchen chair. The chair got a very good scrubbing and then a second scrubbing with a sanding block to remove the stains that wouldn't wash off. Some glue and clamps were also involved. Great age crackle and wear. 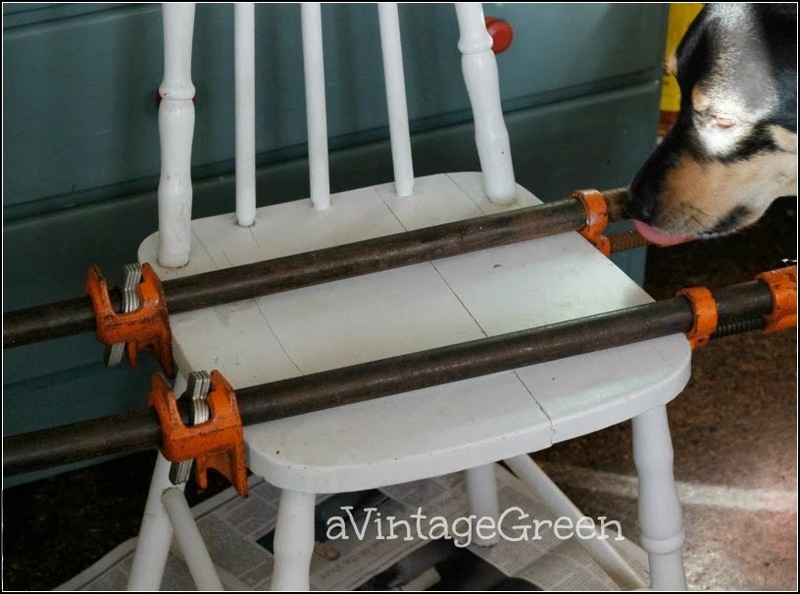 Diesel, visiting granddog was hoping for some food hence the photo bomb along with the clamps. Since I LOVE stripes the chair also 'got' stripes. One coat of Polycrylic on the seat. Back in service, but for someone else. I still have ahem at least 10 more chairs that need to be repaired/repurposed. Then there is the ex-toy tool holder hinged lidded box. The contents were long gone and so were the inside 'holders'. Looked not so great. Cleaned, scraped, used some wood filler where needed. Sanded inside (and outside). Painted with CeCeCaldwell Simply White. Added the stripes. Off to a new home as well. Other striped projects here: chair, tote, box, canvas sacks. I am seeing a change in my post contents, blending a life style blogger with my life as a reseller in a collectibles mall. I have kept the two separate for the most part (at least in posts) over the years I have been blogging. I don't sell anything from my blog so when I write about items I am planning to resell I am just sharing what I am going to do with my project in hand. in my thoughts and prayers today. It is amazing what a lot of tender care and work can do to something. Nice job. I like stripes, they are clean, crisp, and simple, just my style. I love the simplicity of the stripes. Well done. 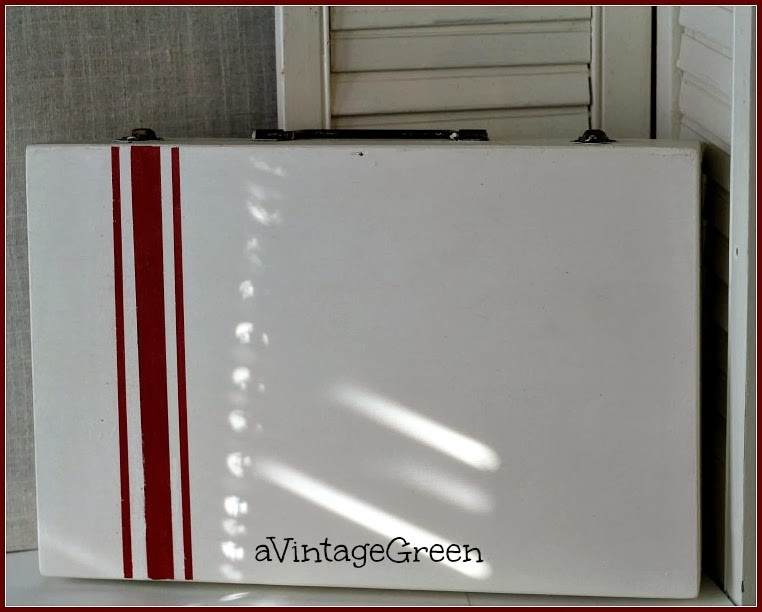 I love the stripes, and am kicking myself for passing up an old box yesterday. 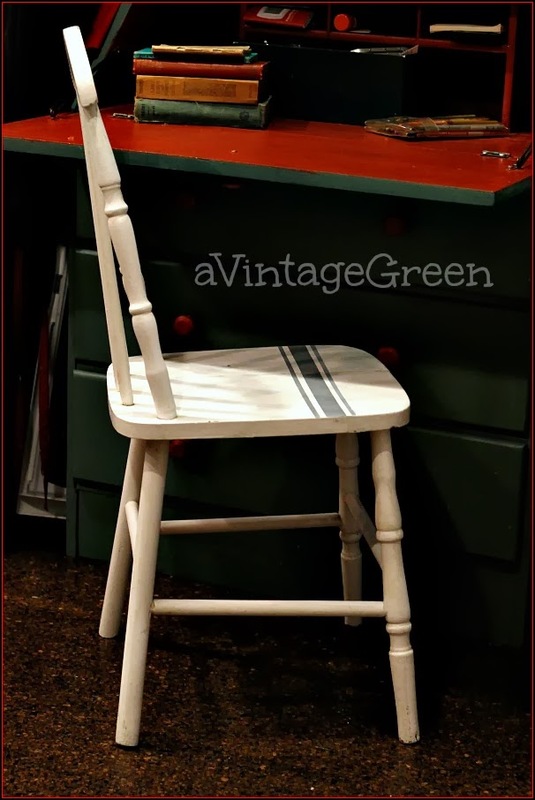 Now you've got me thinking of what all I have that could use a little stripey magic.Here from the Vintage Farmhouse link party. The chair looks great with stripes. 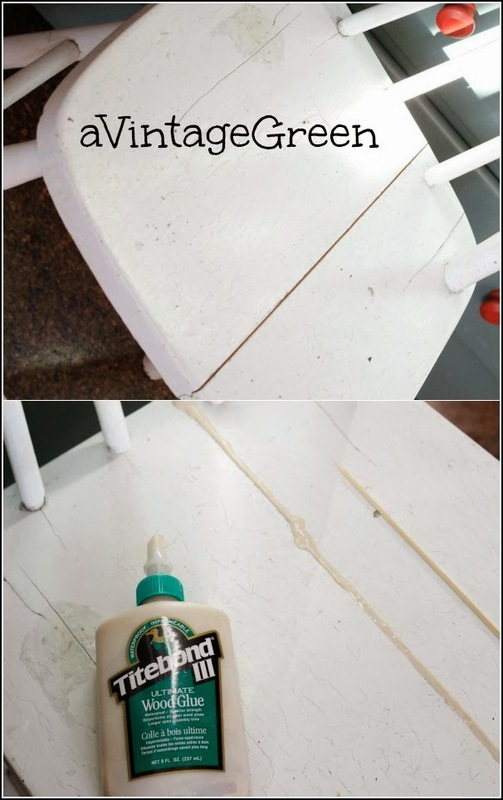 I need to glue some legs on my chairs, and I see the glue you have in your photo and may look for that! Thanks for linking to TTF! I think the box is really unique with the stripe. 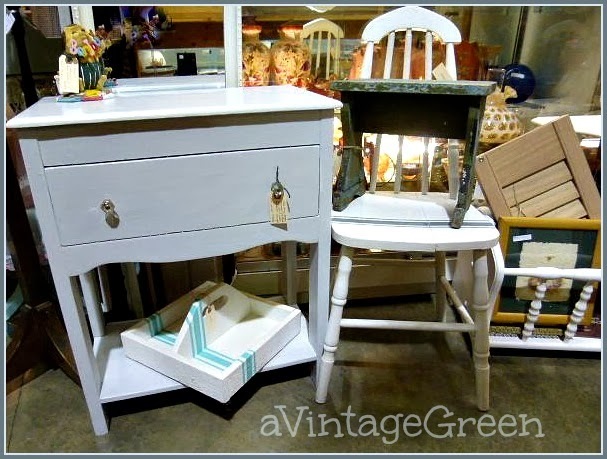 I LOVE painted furniture and my hubby the woodworker DOES NOT. Love the chair. It is so satisfying to fix something old and make it desirable again. I turned out great. I like your Style. The chair and box look like a match made in heaven. I spied a turquoise box with a stripe too in the last photo. They all look wonderful now that you have transformed them. All those simple stripes make a big impact on the beauty of each piece. I think my favorite is the wooden toy toolbox. Diesel appears to be a great helper watching glue dry. I love the stripes on your little chair! 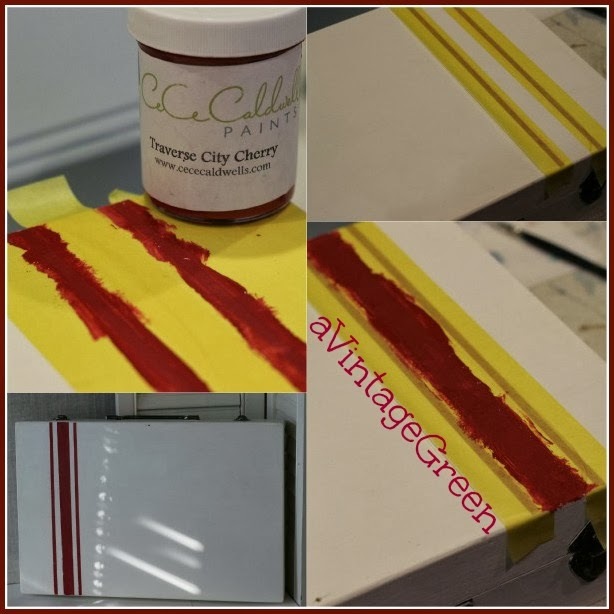 love how it turned out great job thanks so much for sharing at "Meet the Neighbors"
I adore stripes!! Yours looks fabulous!! Stripes will always be so stylish! So simple and classy. I really love it! I'm pinning this one to our talent board! Thanks for sharing on DIY Sunday Showcase! Oh my! What a sweet chair that turned out to be! You gave that poor thing a second chance at life in a gorgeous way! Good for you!! and have a happy week!! Joy, I always love your projects. I am a big fan of grain sack! I bought an old box at an estate sale and was thinking I may need to do the same. Thanks for sharing with SYC. You did a great job with this chair, it looks fantastic! I've been looking for an idea for an old single chair that I've kept and this might look great on it also. Thanks for the inspiration. So glad to have you sharing your beautiful talent with us at Wake Up Wednesday Linky Party. You are inspiring me to get working on some of my treasures around the house! I love the stripe theme in all these makeovers. There's something about stripes that I really love. Good job! Loving your pretty chairs with the great stripes...makes it so charming. You've inspired me to paint some stripes on some of my chairs. Thanks so much for sharing at Sunday's Best, your creative inspiration is always a pleasure to see. I LOVE these chairs, Joy!! Thanks so much for sharing the at the BEST of 2014 party at Knick of Time!